On a recent Thursday afternoon, I went back to Mie Jakarta to find it alive like a weekend. All the tables were full, although right when we walked in someone left and freed up a table for us. The rest of the restaurant was full of Indonesian women in headscarves eating in groups or with their children. The lone server was completely overwhelmed but doing her best. They were out of the tempting bakso ikan goreng ($5), so we started our table with the always satisfying sate ayam ($6.50, below). The skewers of chicken are swimming in their delicious peanut sauce, while the tender chunks of meat are crispy in spots to create a well-rounded texture palate. We were in the mood for something of a soup or stew on this chilly day, and agreed immediately on the soto betawi ($8, below), which comes with a plate of items you are free to add. The sharp curry is obviously great to soak up with rice, but the perkedel was probably the favorite from this extra plate. It is a round potato and meat cake, and we could have stood to order another plate of them to enjoy with the curry. 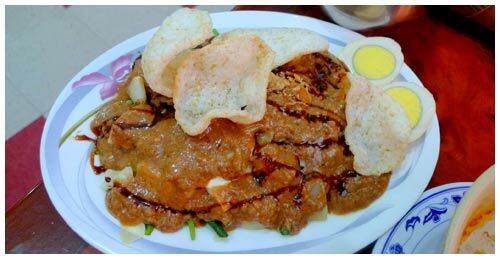 And as often happens in Indonesian restaurants, I could not resist the gado gado ($6.50, below), one of my favorite dishes of any cuisine. 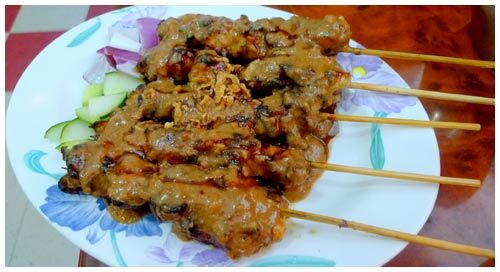 This is a good version, with a higher content of potatoes than most, and the same peanut sauce as the sate. Maybe for a better variety of tastes, I would not recommend them together, unless this sauce is the reason for coming in the first place, which would be perfectly understandable! Along with Java Village a few blocks south of here, you get a better feeling from the Indonesian restaurants of Elmhurst than those of Chinatown. 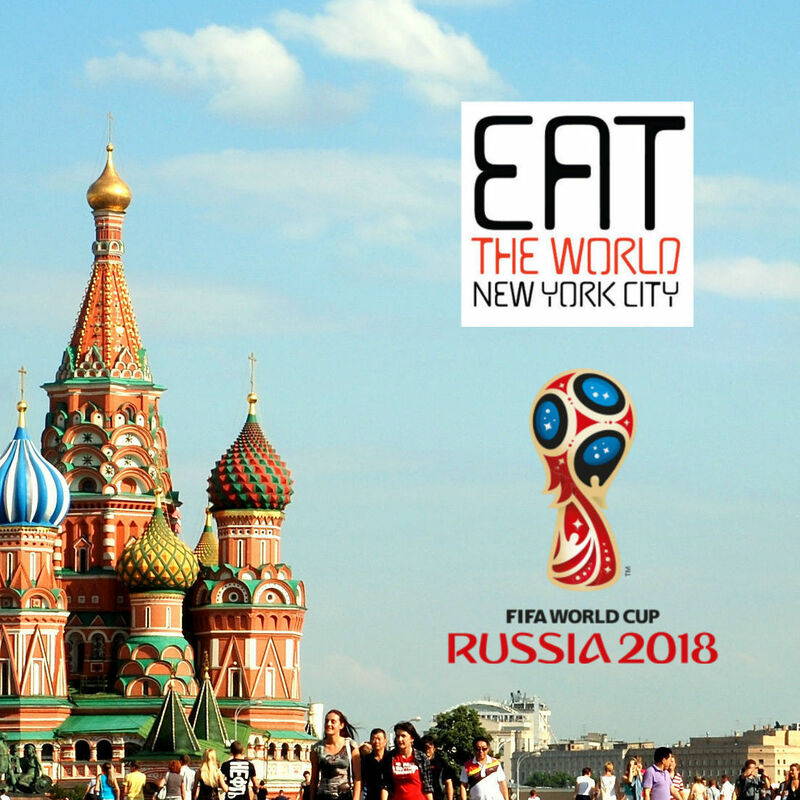 If you don't live in Queens, it's about time you made this trip to see what the cuisine can do for you, it's a guarantee of satisfaction.